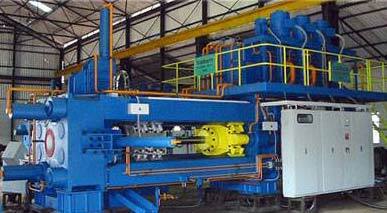 By keeping a full track of the latest market developments, we are engaged in offering Extrusion Press Machine to our clients. We carry out our business from Rajasthan, India. Due to its reliable performance, hassle-free operations, robust structure, easy installation, and long working life, it is highly accredited by our patrons. We use the quality-approved material and progressive techniques for manufacturing it. It is thoroughly examined by our quality analysts on various parameters before getting shipped to the clients place.